4G wireless networks are on the rise, with cellular providers building out their networks and heavily marketing increases in speed and availability. As we discussed in a previous update, the City of Dallas has even released an RFP calling for 300 cameras to use 4G as backhaul, despite having an existing mesh network in place. In this overview, we aim to cover the equipment needed for 4G video backhaul, and general recommendations on when each should be used. Each has specific advantages, disadvantages, and applications for which it is best-suited. We look at these methods, and give recommendations for 4G antenna usage in this overview. Note that while this article references 4G, these recommendations stand for 3G data, as well. The much faster speeds of 4G, at prices similar to 3G, have made 3G obsolete in many areas. 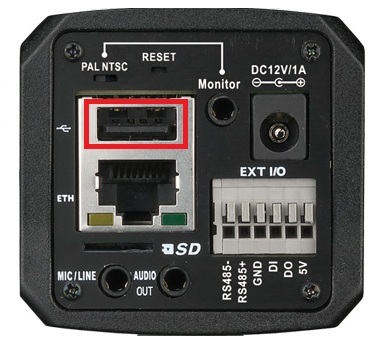 The first option for connecting cameras over 4G is the miniature router, a small enclosure typically containing a single USB modem and Ethernet port. These routers are intended to be less complex to set up, normally defaulting to a bridge mode, in which traffic on all ports is passed between the modem and a device connected to the Ethernet port. However, more complex features, such as basic firewall functions and VPN access are often available, though vary by model. Due to their compact size and single port configuration, miniature routers are most often used for single cameras. They may fit directly in outdoor camera housings, or small equipment boxes, and may be powered via the same low-voltage power supply as cameras, reducing needed equipment at the camera location. Note that some models may require 5 VDC power, so conversion of 12 VDC/24 VAC to proper voltage may be necessary. While compact routers may be connected to a separate switch to connect more devices, purchasing and configuring two devices approaches the pricing of using a single multi-port 4G router. Compact routers are available online for $200-300 USD. 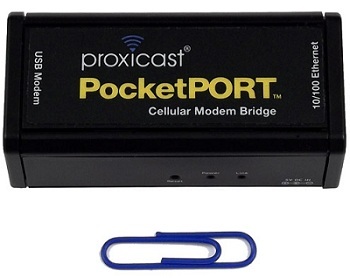 Common providers include Cradlepoint and Proxicast. A step above miniature routers in size, complexity, and capability, full-sized routers build USB 4G modem support, multiple Ethernet ports, and often, wireless LAN into one piece of equipment. These models often provide features more suited for locations requiring higher-end features, such as more complex routing schemes, WAN failover, or 802.11 wireless access. Routers at this level range from about $450 USD online for more basic models, to over $1,000 for hardened models with high-end featureset. 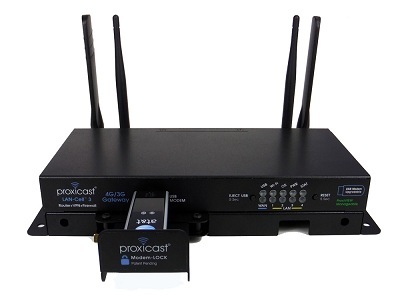 Cisco, SonicWALL, and Proxicast are common examples. Camera backhaul: Since they build switch, cellular connectivity, VPN endpoint, and 802.11 wireless access into one unit, a full-size router may replace several components in installations requiring cellular backhaul. In systems requiring high availability, many routers feature automatic failover, switching from wired backhaul to 4G automatically if connectivity is lost. Finally, built-in 802.11 capability allows each location to serve as a "hot spot", which may be useful in municipal systems, or in large enterprise systems with mobile guard forces, allowing access to the wider network when in proximity. Mobile command: Fullly-featured routers may also be useful in mobile command centers, as they build internet connectivity, as well as wired and wireless Ethernet into one box. This allows emergency communications, such as field command centers or mobile response vehicles, to be set up with a single piece of equipment, instead of separate routers, switches, and wireless access points. Some manufacturers, most notably Brickcom, have begun adding built-in 4G support to their cameras, either via an on-board modem with a user-supplied SIM card, or USB ports for 4G modems. When these cameras are used, only power supplies are needed at the camera location, greatly reducing complexity. 4G-capable models such as the Brickcom FB-500Ap are available online for around $800. Given the choice between built-in or USB modems, users are likely better served by USB. When using built-in modems, users are locked to providers using SIM cards (such T-Mobile and ATT in the US), limiting options compared to USB support. Additionally, drivers may be added should USB modems supporting future wireless technologies be released, which is not possible with built-in modems. However, no matter which is used, if VPN support is required, an external router will most likely need to be used, as few, if any, cameras have built-in VPN capability. Since signal strength may vary widely between locations, it is recommended that users select only USB modems equipped with external antenna ports. This way, for low-signal areas, users may find aiming a directional antenna in the direction of the nearest tower provides sufficient signal for usable bandwidth. To more easily locate nearby towers based on street address, users may use online services, such as AntennaSearch.com, which shows cell towers and potential points of interference.